Are you looking for the perfect bed for your dog? The answer might be in the fabric store, not the pet store. Creating your own dog bed is easier than you may think, and your homemade version is bound to be more personal, cozy, and cost-effective than a store-bought option. The key to making a DIY dog bed is picking the perfect fabric. Search the fabric store for material that is both soft and study, such as winter fleece—also known as double-sided fleece. It’s a good idea to also consider fabrics that are easy to wash, whether you plan to wipe them off with a cloth or wash in your machine. If your dog bed is going to be part of your décor, consider looking in the fabric wholesale store for colors that blend into your home. Get more tips on making a no-sew dog bed in this infographic from Discount Fabrics . Our fabric store serving San Francisco has everything you need for next project. Please consider passing along this fun DIY idea to your friends and fellow crafters. When choosing a wedding dress, you’ll have to decide between many different styles, cuts, and wedding fabrics in San Francisco . 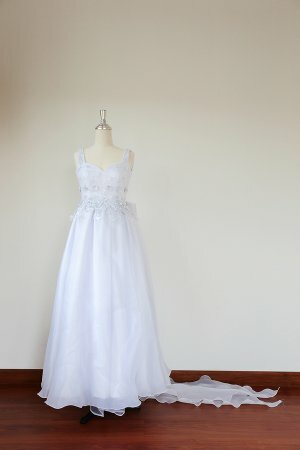 The cut, or overall shape, of your wedding dress can create a beautiful, distinctive silhouette. While you should choose a wedding dress primarily based upon how gorgeous and comfortable you feel in it, you may also be interested in some tips on choosing a wedding dress shape that highlights your favorite features. Watch this video to learn more about wedding dress shapes, including the ball gown wedding dress. In the video clip, a bridal shop consultant offers expert advice about finding the right wedding dress shape for you. 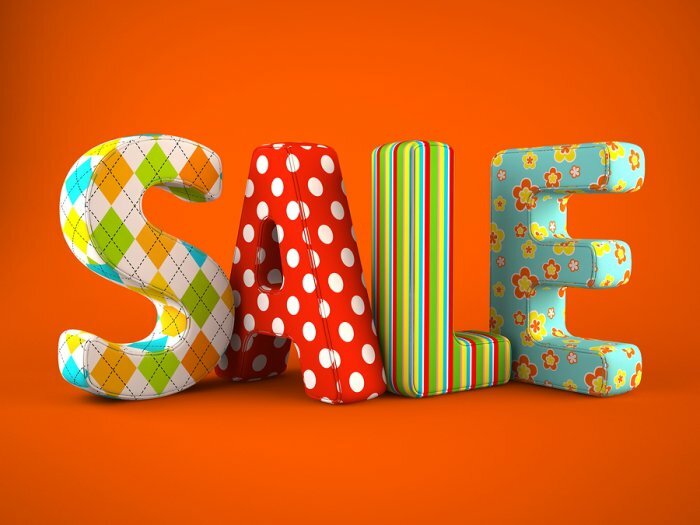 Are you looking for discount fabrics in San Francisco or Berkley for your next special event? Whether you’re planning on making costumes for Halloween or a theatre production or picking out bridal fabric for a wedding gown, Discount Fabrics can help you find the perfect wholesale fabric for your needs. 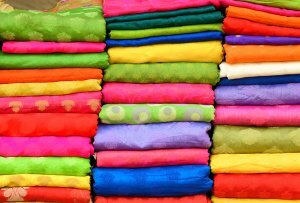 At Discount Fabrics, we offer high-quality, low-cost fabrics in a variety of prints, colors, and materials. We have an array of gorgeous wedding fabrics, such as tulle, silk, lace, and velvet. Our wholesale prices make us the best place around to buy costume fabrics for parties, dance uniforms, theatre productions, and holiday events. Our events specialist has years of expertise in providing beautiful, unique fabrics for events large and small. We can even order specialty fabrics that aren’t available in our stores. We provide assistance in calculating yardage, and can refer you to seamstresses in the area if you need someone to create custom clothing, costumes, or table linens. Why Should You Make Your Own Clothes? Making your own clothes is a fun and affordable way to express your creativity. You can tailor designs to your exact measurements, and stay on top of new trends, or even start your own. Wholesale fabric outlets in Berkeley have a great variety of exciting fabrics that are sure to inspire you to start sewing your own clothes at home. You can get great deals on wholesale fabric from your local San Francisco fabric depot. Buying fabric in its off-season will save you even more money. For instance, many fabric stores have sales on warmer fabrics like velvet and fleece when the weather starts to get warmer. You can also pick up cooler fabrics like linen and lace at low cost during the winter months. Making you own clothes is easy with the right patterns and equipment, and you can even use you own clothing as a guide to create something new. If you have a favorite dress that has become faded or stained, you can use it as a pattern to sew a new one just like it. Clothing that you buy off the rack comes in a limited array of sizes, and may not fit you as well as you’d like. When you make your own clothes, they will be tailored to your exact size and proportions, meaning they will be more flattering and look more stylish. You can add customizable details that may not always be available from a store bought piece of clothing, like adding pockets to the dress you’re sewing. You can even use more than one style or pattern of material to further customize your piece. When you make your own clothing, you can be sure that you won’t see anyone else wearing the same thing that you are. You have the option to choose unique fabrics and designs that express your personality. This allows you to experiment with styles and patterns that no one else would be able to find in a store. Designing your own costumes gives you the freedom to create custom costumes that no one else will have. You can make costumes that fit perfectly and look exactly the way you want them to. Whether you’re designing a Halloween costume or an outfit for a dance recital or theater performance, you can find affordable wholesale fabric at a fabric outlet in Berkeley . Creating your own costumes will ensure that the piece is tailored to your specific proportions, making it much more comfortable and flattering. You’ll also know that the piece you create will be high quality and unique, catching everyone’s eye and putting you in the spotlight. If you design and sew your own costumes, you’ll never have the hassle of trying to find the exact costume you envisioned at a crowded, expensive costume store. Fabric outlets in San Francisco have a huge variety of costume fabric at very low prices, which allows you to create the perfect costume at a very low price. The affordable fabrics you’ll find in your local fabric depot will inspire you to start designing and creating your own one of a kind costumes. Get Ready For New Years!